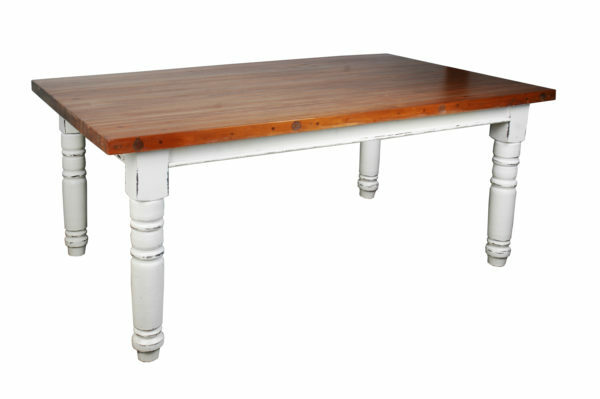 With shabby chic charm and antique allure, this two-toned dining table will update your kitchen or dining room. Its two tone whitewash and natural wood finish exudes farmhouse warmth. Mix and match with Sunset Trading Cottage dining chairs in red or whitewashed finishes (sold separately). *Care: Dust with a soft, dry cloth. Avoid using chemical and abrasive cleaners as they may damage the finish.